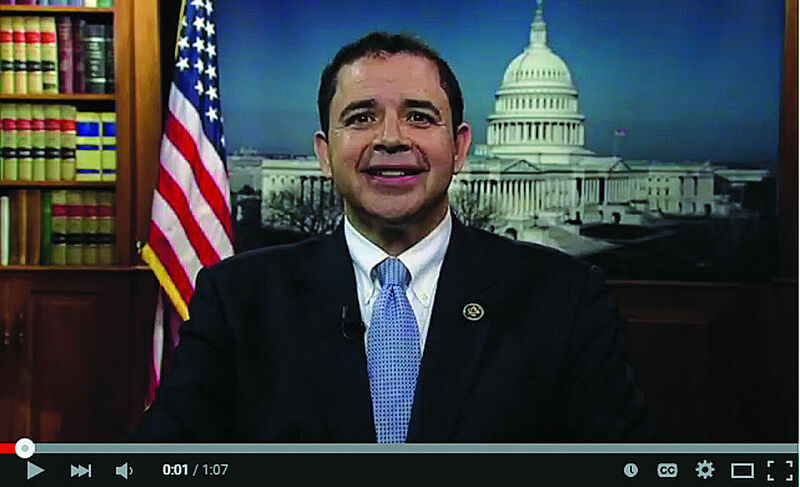 Rep. Henry Cuellar is a member of the U.S. House Appropriations Committee. Previously, he served as a Texas State Representative and Texas Secretary of State. Two Texas Congressmen boarded the same airplane home from Washington Friday, one with a direct line of communication to those involved in renegotiating the North American Free Trade Agreement, the other hails from the border and has seen his hometown boom thanks to the pact. U.S. Rep. Kevin Brady, R-The Woodlands, Chairs the House Ways and Means Committee, which NAFTA falls under. The Senate Finance Committee has jurisdiction of NAFTA on the Senate side. Brady shared a plane to his home state with Laredo Democratic U.S. Rep. Henry Cuellar, whose district stretches to western Hidalgo County. Cuellar has seen his hometown benefit in large part due to NAFTA. Now, the agreement is being primed to be “modernized.” U.S. Trade Representative Robert Lighthizer sent a letter to Congress on Thursday expressing the Trump Administration’s intent to renegotiate the two-decade old agreement. That letter triggered a 90-day clock before the U.S., Mexico and Canada can sit down to begin renegotiations. A business group, as well as other Rio Grande Valley officials, will visit Washington for an RGV Day the week of June 12 to meet with members of the Texas delegation in Congress. The group will also meet with business people in Washington and trade stakeholders. Meanwhile, Cuellar will try to use his long relationship with Brady that spans back to the early 1990s, when the two were in the Texas House of Representatives, to help the NAFTA renegotiation preparations. The day before the notification was sent to Congress, Cuellar set up a meeting between Brady and the Texas democratic delegation, as well as some Mexican business people who were in Washington visiting Cuellar. Another thing Cuellar will push for is additional infrastructure and staffing at ports of entry. Cuellar also said Brady told him Lighthizer plans to move periodically through the agreement over the next few months, to evaluate every part. Cuellar added that he plans to call Mexican Foreign Minister Luis Videgaray regarding the North American Development Bank, which is a binational financial institution governed equally by the U.S. and Mexico for the purpose of financing projects by the Border Environment Cooperation Commission. Videgaray said Friday that Mexico will not accept tariffs or quotas, which is something officials in the Valley believe would be a bad idea for the U.S.
Cuellar didn’t specifically mention tariffs or quotas, but he will make sure information regarding country of origin, environmental issues, e-commerce and labor issues are discussed. But he was clear to Brady he wants to have an impact over the next 90 days. “This is it,” Cuellar said.